A Baltimore Ravens defense that frightened offenses last season somehow found a way to get even more terrifying. 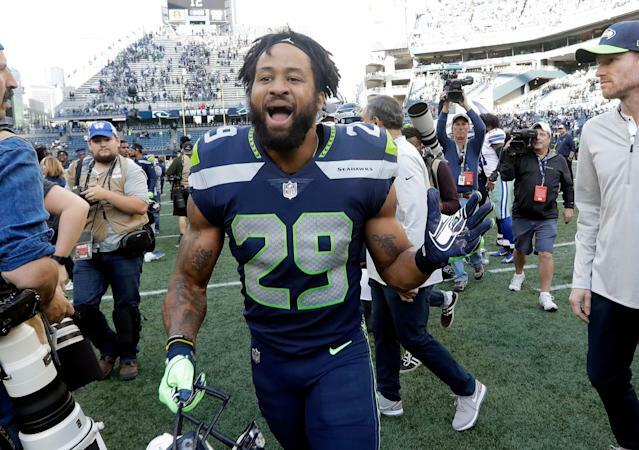 Former Seattle Seahawks safety Earl Thomas has reportedly agreed to a four-year, $55 million deal with the Ravens, according to ESPN’s Adam Schefter. In his nine seasons in the NFL, Thomas has emerged as one of the best safeties in the game. The 29-year-old Thomas entered last season seeking a new deal with the Seahawks, but did not receive one. He played four games before a leg fracture ended his season. The moment that happened, any chance of Thomas rejoining the Seahawks went out the window. As he was being carted off the field, Thomas famously extended his middle finger in the direction of Seattle’s sideline. Despite the injury, Thomas was still expected to be among the most coveted free agents to hit the market. His body of work — which includes six Pro Bowls and three All-Pro selections — speaks for itself. Thomas was rated as the eighth-best free agent available this offseason, according to our own Frank Schwab. The Ravens weren’t thought of as a strong destination for Thomas until recently, when the team made the surprising decision to cut Eric Weddle. The move saved the Ravens $7.5 million, but it came at the cost of cutting a really good player. The 34-year-old Weddle was coming off his third straight Pro Bowl selection. Weddle signed with the Los Angeles Rams shortly after he was released. Thomas wasn’t the only move made by Baltimore on Wednesday. The team also signed running back Mark Ingram to a three-year, $15 million deal. Both deals confirm the Ravens are planning to utilize the same strategy that got them to the playoffs last season. Thomas should ensure Baltimore’s defense remains terrifying, while Ingram gives the team a bruiser who can move the chains and complement Lamar Jackson. Winning the AFC North again won’t be easy, especially after the Cleveland Browns added Odell Beckham Jr. on Tuesday. But as Thomas has shown throughout his career, even the best offenses struggle when he’s patrolling the secondary.